William Hesketh’s regular watching of his local patch, Smawthorne Marsh in Castleford, paid off today when he found a firecrest amongst the hedgerows there. This tiny jewel of a bird is a rare visitor to the district and one to get the heart pounding. 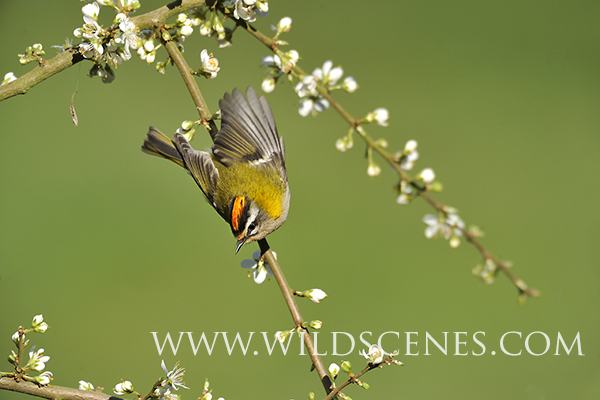 The firecrest is very similar in size and shape to its familiar cousin the goldcrest but much more strikingly marked, If you can catch a glimpse of the firecrest actually raising his crest, it’s very easy to see where he gets his name! I guess most of us are agreed that so far this January it has either been too wet or too windy to really enjoy getting out to enjoy our local wildlife. However, a brief sunny spell on Monday 20 January 2014 tempted me out to have a look around Nostell Prior gardens and parkland, not to mention the cafe. The walk in front of the house and around the lake is on good paths, unlike others elsewhere in the district, which are under water or deep mud due to the bad weather. The effort was worthwhile with good numbers of teal and other water birds on the lake including two goosanders, although there was thirty one of this species here earlier in January along with a buzzard and a sparrowhawk. 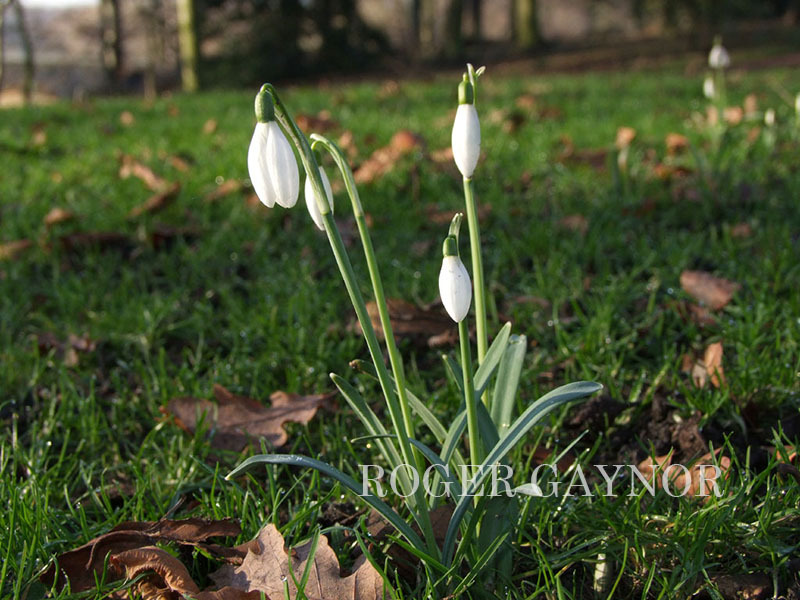 Perhaps, the highlight of the day was some snowdrops suggesting that, whilst we have had some fairly wild, weather it is been relatively mild. Winter aconites were also out in flower close by. This evening’s meeting was the society’s AGM and our president John Gardner breezed through this formality with his usual speed and good humour. There was some discussion about increasing the annual subscriptions due to the speakers fees and there was general agreement by the members that there should be an increase from next year. Also discussed was the peregrine nestbox that was attached to the tower on Wakefield Cathedral by seven of our own members bringing the project to a successful conclusion. More details will follow on the website. We hope that the single peregrine, which has been using the spire as a perch for many months, can attract a mate. The box can easily be seen on the east side of the tower from the Kirkgate precinct. Thanks go to Sheffield University for all their help and advice and donation of the nestbox. Following the AGM, one of our own members Francis Hickenbottom very kindly stepped in to replace the advertised speaker, who had to pull out due to ill health. Francis is a keen and very knowledgeable astronomer, and gave us an interesting talk based on his own photographs of the stars and planets taken while on holiday in Wales. It was very much an audience participation evening, where everyone had to work out where the various constellations were, and identify some of the brightest stars in the night sky .